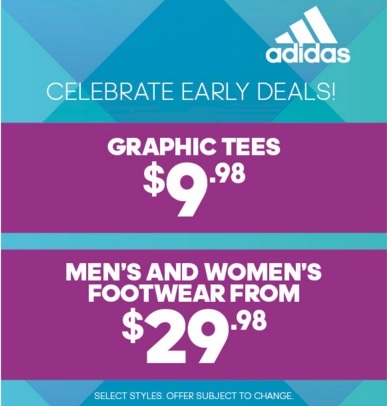 Celebrate Early Deals at US adidas Outlet Stores. Graphic tees are available for $9.98. Men's and women's footwear starting at $29.98. Source of the information is adidas. Offer is time limited. More details available at adidas Outlet Locations.